Overtime Pay Attorney Brendan J. Donelon - Donelon, P.C. 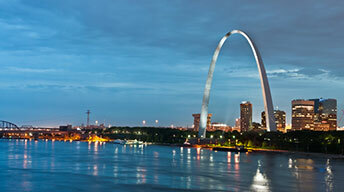 I grew up in Jefferson City, Missouri and attended college at Truman State University in Kirksville, Missouri. 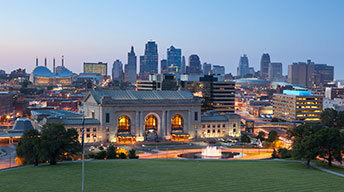 After graduating with a degree in economics, I attended the University of Missouri – Kansas City School of Law. After my May 1995 graduation, I remained in Kansas City to practice. I am licensed to practice in both Missouri and Kansas state courts as well as numerous federal courts throughout the country. In 1999, I realized my law school dream by opening my own practice. I have successfully tried numerous jury trials in federal and state courts. My office focuses on representing individuals in wage and hour issues including claims for overtime pay in complex wage and hour class action claims. My practice differs from the majority of other law firms for several reasons. First, I limit the number of cases taken by my office. This allows me an opportunity to devote a high level of attention to my clients’ cases. Second, I take a holistic approach to my clients’ files. This is often referred to as seeing the “big picture” of a client’s case. It involves understanding the client’s needs and desires and how these relate to the realities of litigation. This approach is extremely important in providing the best advice and guidance to my clients. Finally, I prepare and work on all cases as though they are going to trial. Instead of taking a case in hopes of a quick settlement, I take a case with the expectation of going to trial. If settlement does occur, it is the bi-product of preparing the case for trial and not preparing it for settlement. This approach has allowed me to successfully pursue wage and hour claims and other employment matters against large corporations defended by some of the biggest law firms in the country. Mr. Donelon has been litigating wage and employment matters since 1995. He is licensed in the bars of the states of Missouri (admitted 9/29/95) and Kansas (admitted 4/26/96). He is also a member in good standing of the bars of the following federal courts: the Western District of Missouri (admitted 10/6/95); the Eastern District of Missouri (admitted 9/13/07); the District of Kansas (admitted 4/29/96); the Southern District of Illinois (admitted 7/14/98); the Northern District of Illinois (admitted 9/3/09); the Northern District of Florida (admitted 8/5/08); the Eastern District of Michigan (admitted 9/3/09), District of Colorado (admitted 02/25/14), Southern District of Indiana (admitted 10/2/2014), the Eastern and Western Districts of Arkansas (admitted 3/21/14), the Eastern District of Texas (admitted 7/28/2015); the Northern District of Texas (admitted 7/28/2015), the Western District of Oklahoma (admitted 8/18/15), the Central District of Illinois (01/20/17), the United States Court of Appeals for the Eighth Circuit (admitted 10/9/03); and the United States Court of Appeals for the Tenth Circuit (admitted 2/23/07); the United States Court of Appeals for the Seventh Circuit (admitted 12/23/10); the United States Court of Appeals for the Second Circuit (admitted 6/12/12); the United States Court of Appeals for the First Circuit (admitted 7/13/12); and the United States Supreme Court (admitted 6/25/12). Mr. Donelon started his own law practice at the young age of 29. He has tried numerous successful jury verdicts in both state and federal courts. Mr. Donelon also has extensive practice before state and federal appellate courts including briefing matters before the U.S. Supreme Court. 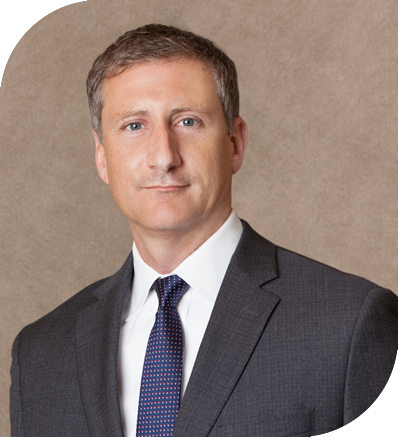 He is considered by his peers to be a preeminent practitioner in the litigation of complex wage and hour matters, and is an active member of the National Employment Lawyers Association (NELA). 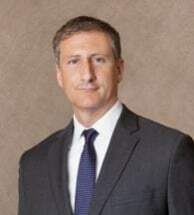 He has chaired the Labor and Employment law committee for the Kansas City Metropolitan Bar Association and also chaired the task force committee for the Kansas City chapter of NELA reviewing and analyzing revisions to the Missouri Commission on Human Rights policies and procedures and its effects on claimant’s rights. Mr. Donelon has been recognized as a “Super Lawyer” for labor and employment law in Missouri and Kansas – a research-driven, peer influenced, rating service of outstanding attorneys, from more than 70 practice areas, who have attained a high-degree of peer recognition and professional achievement. The selection process includes independent research, peer nominations and peer evaluations, assuring a credible and annual list of the top 5% of attorneys. In re: Bank of America Wage and Hour Employment Practices Litigation: United States District Court for the District of Kansas, case no. : 10-MD-2138. Initiated in 2009, Mr. Donelon was appointed as lead counsel over a multi-district litigation that consolidated 27 class action claims against Bank of America regarding failure to pay a class of over 180,000 employees proper overtime at their retail banking and call center locations. Court approved $73 million settlement on December 18, 2014. Citizens Financial Group, Inc., et al. Litigation. Six class/collective actions filed in federal courts in the N.D. Illinois, W.D. Pennsylvania, E.D. Pennsylvania, District of Massachusetts, E.D. New York, and Court of Common Pleas for Philadelphia, Pennsylvania. All six cases related to Citizens allegedly misclassifying assistant branch managers and not paying overtime. Also, some cases involved Citizens not paying its hourly employees overtime pay for work performed off-the-clock. Three conditional certifications were granted under the FLSA, and three Rule 23 class certifications were granted as well. Litigation involved appeals brought before the Seventh, Second, First, and Third Circuit court of appeals as well as the U.S. Supreme Court in one matter. One case was tried to jury over a three week period. While the plaintiffs lost the trial, the claims in that matter, along with the other pending five cases, were resolved together for $11.5 million. Appointed lead counsel in all matters. Waters, et al. v. Kryger Glass Company. United States District Court for the Western District of Missouri, case no. : 09-CV-1003. Filed: November 30, 2009. Class action claim under FLSA for time shaving related to employees working at eight facilities. Granted lead class counsel status. Confidential class settlement reached. West, et al. v. Citywide Mortgage Associates, Inc. United States District Court for the District of Kansas, case no. : 09-CV-2542. Filed: October 20, 2009. Class action claim under FLSA on behalf of loan originators nationwide for failing to properly pay overtime on commission income. Appointed class counsel status. Confidential class settlement reached. McKinzie, Jr. et al. v. Westlake “Ace” Hardware, Inc. United States District Court, Western District of Missouri, case no. : 09-0796. Filed: September 28, 2009. Class action claim on behalf of floor supervisors for misclassification as salary exempt under the FLSA. Case involves employees in five states. Appointed class counsel. Confidential class settlement reached. Carson, et al. v. Mortgage Lenders of America, L.L.C. United States District Court for the District of Kansas, case no. : 09-CV-2437-CM. Filed: August 20, 2009. Class action claim under FLSA on behalf of loan originators nationwide for failing to properly pay overtime on commission income. Granted lead class counsel status. Confidential class settlement reached. McFadden, et al. v. Corrections Corporation of America United States District Court for the District of Kansas, case no. : 09-2273-EFM. Filed: May 21, 2009. Class action claim on behalf of all assistant shift supervisors for misclassification under the FLSA. Case covers employees at over 60 facilities in over 30 states. Granted lead class counsel status. Confidential settlement reached. Shockey, et al. v. Huhtamaki Consumer Packaging, Inc. et al. United States District Court for the District of Kansas, case no. : 09-CV-2260. Filed: May 15, 2009. Class action claim under the FLSA on behalf of all hourly plant employees at ten facilities for off the clock work and time clock rounding. Granted class counsel status. Confidential class settlement reached. Childress, et al. v. Ozark Delivery of Missouri, L.L.C. United States District Court, Western District of Missouri, case no. : 09-3133. Filed on: April 24, 2009. Class action claim under the FLSA on behalf of all delivery drivers who were not paid any overtime compensation. Granted lead class counsel status. Busler, et al. v. Enersys Energy Products, Inc. et al. $3.25 million settlement approved on 4-7-2010. United States District Court for the Western District of Missouri, case no. : 09-CV-0159. Filed on: February 27, 2009. Class action claim under the FLSA on behalf of all plant employees at four locations for failure to properly pay for donning and doffing. Granted lead class counsel status. Creten-Miller, et al. v. Westlake “Ace” Hardware, Inc. United States District Court for the District of Kansas, case no. : 08-2351. Filed: July 31, 2008. Class action claim on behalf of front end supervisors for misclassification as salary exempt under the FLSA. Case involves employees in five states. Granted lead class counsel status. Confidential class settlement reached. Loyd, et al. v. Ace Logistics, L.L.C. et al. United States District Court, Western District of Missouri, case no. : 08-0188. Filed: March 13, 2008. Class action claim under the FLSA on behalf of all delivery drivers who were not paid any overtime compensation. Granted lead class counsel status. Default judgment entered for $1.8 million. Humphrey, et al. v. Bank Mortgage Solutions, L.L.C. & Bank VI. Settlement approved 02/18/2010. Filed: April 28, 2009. United States District Court for the District of Kansas, case no. : 09-CV-2224. Class action claim under FLSA on behalf of loan originators nationwide for failing to properly pay overtime on commission income. Granted lead class counsel status. Confidential class settlement reached. Mayes, et al. v. The Geo Group, Inc. Settlement approved 10/31/2009. Filed on: August 6, 2008. United States District Court for the Northern District of Florida, case no. : 08-CV-0248. Class action claim under the FLSA on behalf of in excess of 11,000 security guards at private prison for off the clock work and time clock rounding. Granted lead class counsel status. Chankin, et al. v. Tihen Communications, Inc. Confidential Settlement Approved 09/11/2009. United States District Court, Eastern District of Missouri, case no. : 08-0196. Filed: February 7, 2008. Class action case under the FLSA on behalf of cable technicians that were inappropriately being treated and independent contractors and not paid overtime. Granted lead class counsel status. Thomas Payson, et al. v. Capital One Home Loans. Confidential Settlement Approved 03/26/09. United States District Court, District of Kansas, case no. : 07-2282. Class action claim under FLSA, and related Rule 23 class claims under Kansas law, on behalf of loan originators nationwide for failing to properly pay overtime on commission income. Filed on: June 29, 2007. Granted lead class counsel status. Settlement reached for $9.5 million. Barnwell, et al. v. Corrections Corporation of America. $7 million Settlement approved 02/12/2009. United States District Court for the District of Kansas, case no. : 08-CV-2151. Filed: April 3, 2008. Class action claim under the FLSA on behalf of in excess of 16,000 security guards at private prison for off the clock work and time clock rounding. Granted lead class counsel status. Staton, et al. v. Cavo Broadband Communications, L.L.C. Confidential Settlement Approved 01/12/2009. United States District Court, Eastern District of Missouri, case no. : 08-CV-0273 Filed: February 27, 2008. Class action case under the FLSA on behalf of cable technicians that were inappropriately being treated and independent contractors and not paid overtime. Granted lead class counsel status. Confidential class settlement reached. Morak, et al. v. CitiMortgage, Inc. Confidential Settlement Approved 09/23/2008. United States District Court, Eastern District of Missouri, case no. : 07-1535. Filed: August 29, 2007. Class action claim under FLSA on behalf of loan originators nationwide for failing to properly pay overtime on commission income. Granted lead class counsel status. Confidential class settlement reached. Smith, et al. v. Mill-Tel, Inc. Confidential Settlement Approved 08/28/2008. United States District Court, District of Kansas, case no. : 08-2016. Filed: January 8, 2008. Class action case under the FLSA on behalf of cable technicians that were inappropriately being treated and independent contractors and not paid overtime. Granted lead class counsel status. Confidential class settlement reached. Michael Hamilton, et al. v. ATX Services, Inc. Confidential Settlement Approved 05/06/2008. United States District Court, Western District of Missouri, case no. : 08-0030. Filed: January 11, 2008. Class action case under the FLSA on behalf of cable technicians that were inappropriately being treated and independent contractors and not paid overtime. Granted lead class counsel status. Confidential class settlement reached. Filed on: October 27, 2008. Class action claim under FLSA on behalf of loan originators nationwide for failing to properly pay overtime on commission income. Granted lead class counsel status. Confidential class settlement reached. Most, et al. v. General Nutrition Centers, Inc. Confidential Settlement approved July 23, 2007. United States District Court for the District of Kansas, case no. : 06-CV-2330. Filed on: August 9, 2006. Class action claim brought under the FLSA on behalf of over 6000 store managers for failing to properly calculate and pay overtime. Granted lead class counsel status. Confidential class settlement reached. Canterbury, et al. v. Parsons Construction Company. Confidential settlement approved July 3, 2007. Filed on: January 26, 2007. United States District Court for the Western District of Missouri, case no: 06-CV-4281. Class action claim under the FLSA on behalf of workers for failing to compensate for pre and post shift work. Granted lead class counsel status. Confidential class settlement reached. West, et al. v. Citywide Mortgage Associates, Inc.
McKinzie, Jr. et al. v. Westlake “Ace” Hardware, Inc.
Carson, et al. v. Mortgage Lenders of America, L.L.C. Shockey, et al. v. Huhtamaki Consumer Packaging, Inc. et al. Childress, et al. v. Ozark Delivery of Missouri, L.L.C. Busler, et al. v. Enersys Energy Products, Inc. et al. Creten-Miller, et al. v. Westlake “Ace” Hardware, Inc.
Loyd, et al. v. Ace Logistics, L.L.C. et al. Mayes, et al. v. The Geo Group, Inc.
Chankin, et al. v. Tihen Communications, Inc.
Staton, et al. v. Cavo Broadband Communications, L.L.C. Morak, et al. v. CitiMortgage, Inc.
Smith, et al. v. Mill-Tel, Inc.
Michael Hamilton, et al. v. ATX Services, Inc.
Mische, et al. v. North American Savings Bank, F.S.B. Most, et al. v. General Nutrition Centers, Inc.